6.30AM I usually wake up around this time. Given how much I’m on the road, my phone typically doubles as my alarm clock. I am for seven to nine hours of sleep every night–travelling so much has given me a lot of appreciation for a good night’s sleep! The first thing I do when I wake up is have a large glass of water with apple cider vinegar and lemon. Then I’ll brush my teeth and wash my face. Skincare is definitely a priority. In the morning, I start by washing my face with a gentle exfoliant. Then I use my jade roller to reduce any puffiness and finish my routine by applying an SPF-rich moisturiser. I also make sure to drink a lot of water throughout the day to keep my skin hydrated. 7AM I believe self-love is the strongest superpower you can have and what you put into today is what you get out. I love starting my day off with a good sweat. Then, I head to The Elk, one of my favourite places to grab a cup of coffee in the morning after my workout. 9AM I typically eat breakfast around 9am. Depending on how much time I have in the morning, I’ll either have an egg white omelette with avocado and hot sauce or a vegan chocolate protein smoothie with almond milk and water. 9.45AM I I have time, it’ll take me about 45 minutes to an hour to get ready, but I can pull it off in 20 minutes if I’m rushing out the door. My go-to look is high-waisted jeans, a tucked-in tee with a blazer, and either my Stan Smith sneakers or booties. My style is tailored with a slight edge. I like wearing simple silhouettes and adding jewellery, like Swarovski’s fit choker, to give my look a little personality. I almost never leave my home without wearing a combination of rings, necklaces, and bracelets. I gravitate towards simple, daintier pieces that are easy to layer. Rings are definitely my favourite. I love simple band rings that are easy to stack and mix and match. If I’m jet-lagged and tired, I wear items that are comfortable and easy to pair together. When I’m more energised, I get more creative with what I’m wearing and take more fashion risks. I like to keep my make-up routine pretty minimal: I usually stick to just wearing BB cream with volumising mascara and a touch of lip balm or lip gloss. 11AM I try to meditate before a big day of work. Even if it’s just for a few more minutes, it helps me relax and refocus. Lately, I’ve also been relying on the new Haim album to get me camera-ready; anything by Beyoncé also always does the trick. For me, a good photo shoot involves good music, good company, and the freedom to try something new and be creative on set. 12PM My lunch break is always schedule-dependant, but I usually try for noon. Some of my favourite restaurants are Egg Shop or Two Hands. The food is always fresh and creative. I try to stick to clean proteins and veggies for lunch, so I love having fresh sushi or a salad from Sweetgreen. This keeps me feeling energised throughout the day. I’m a pescatarian, so the only meat I eat is fish–no red meat or poultry. 2PM Swarovski’s Holiday shoot was so much fun! Boy George DJ’ed, and Jourdan Dunn, Fei Fei Sun, Naomi Campbell, and I had one big dance party while being decked out in crystals. It was definitely one I’ll remember. I’ve worked with Naomi Campbell a few times before, but it’s always so surreal getting to see your idol in action. I’ve looked up to her since the early days of my career, and I find myself learning something new from her every time we’re on set together. Christy Turlington has also been a long-time role model of mine. She redefined what it means to be a supermodel, showing me that you have a successful career in fashion while pursuing your other interests and passions. I always thought I would follow in my dad’s footsteps and become a doctor. Growing up, I was fascinated by math and science, and medicine seemed like a great way to combine those interests while also helping others. But getting the chance to work with all my friends on-set is incredible. I’m so grateful to call this my job. The Swarovski brand holds a lot of sentimental value for my family and me. My parents and grandparents would often gift me Swarovski pieces for special occasions. It’s a very full-circle moment to be able to work with the brand today. 6.30PM Once a shoot is done, I take off my make-up from set and check back in with the world, answering my recent e-mails and texts. I try to limit how much time I spend on social media. During the weekends, I indulge in sleeping in and unplugging from my phone for a while–I turn my phone off on Friday and Saturday nights to give myself a break. Whenever I can, I go home to St. Louis to spend time with my family. Their love and support keep me grounded. 7.30PM My shoots generally wrap up before dinner time, so I tend to eat around this time. I usually have a clean protein, like salmon, with grilled veggies and greens. For dinner, one of my favourites is Loring Place in Greenwich Village. The crispy, spicy cauliflower there is incredible! While I try to eat healthy, well-balanced meals, I definitely have a sweet tooth and love indulging in Halo Top ice cream or dark chocolate. I love baking, so dessert is my specialty. My gram’s gingersnap cookie recipe is one of my favourites. I also like to experiment with different vegan baking recipes, and love putting a healthy spin on some of my favourite cooking and baked goods. My other hobbies are coding and boxing. 9PM If I have time, I love taking a relaxing bath with essential oils or bath salts and a nice scented candle. I use a gentle cleanser to wash my face. After that, I put on a hydrating face mask. I recently dyed my hair platinum, which requires extra maintenance to keep healthy, so putting on Christophe Robin hair mask has become an essential part of my night-time routine. 10PM On weekdays, I like to be in bed by 10pm or 11pm. My bedroom is a sanctuary, so I keep it cozy, minimal and clean. I love reading before I go to bed. It’s really relaxing and helps clear my head. 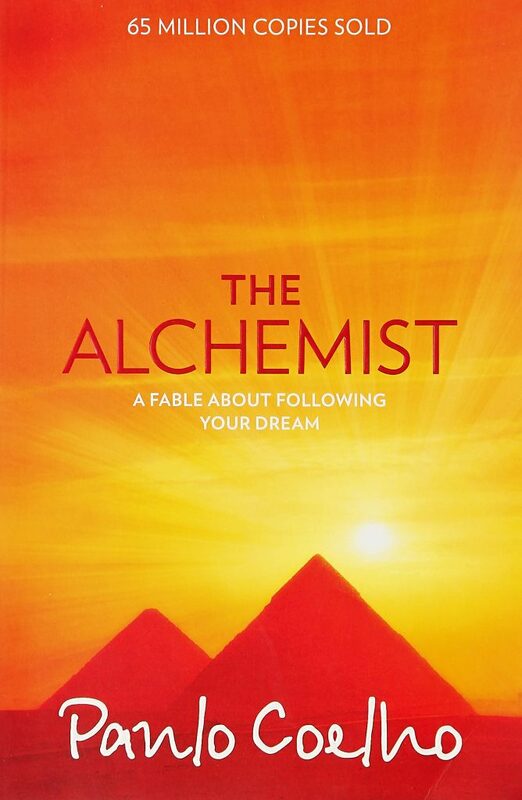 My all-time favourite book is The Alchemist by Paulo Coelho. Or, if I’m tired, I fall asleep as soon as my head hits the pillow.